Please note that our Empty Bowls painting cutoff for 2017 was Monday, November 13th. 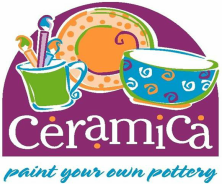 You can paint Empty Bowls anytime during the year! 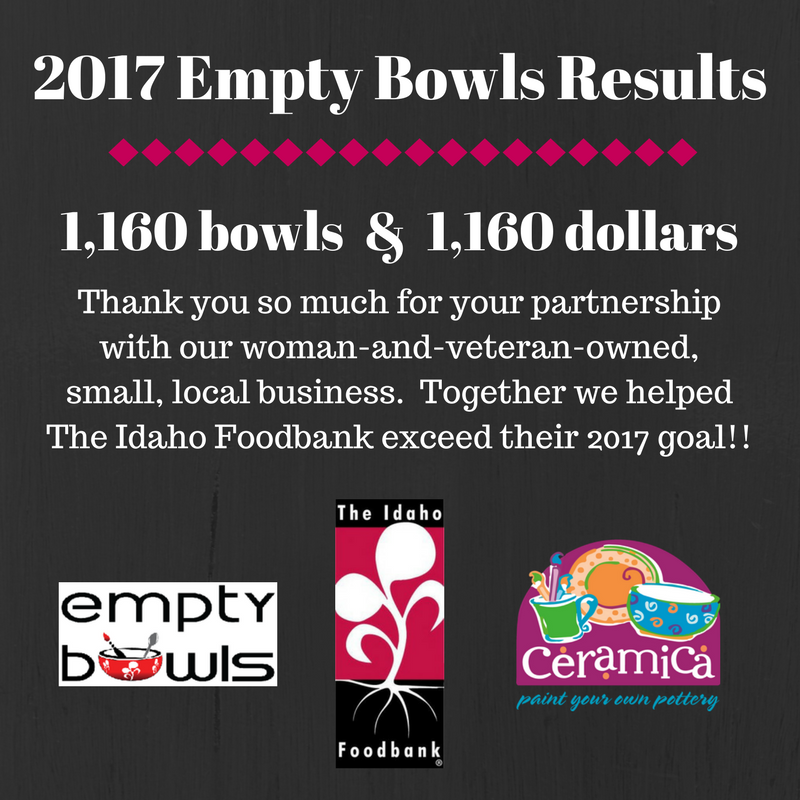 Just let us know you want your bowls donated and we'll make sure they get to The Idaho Foodbank! Got a group of at least 25 people and a place where we can set up? If so, we'll come to you in any month other than November or December. Give Amanda a call at 208-342-3822 to discuss logistics. We regret that we are not able to do offsites in November or December due to the high volume of studio traffic that requires the full attention of our entire staff.